DIRECT FROM LOURDES - Mary & Baby Jesus Christmas Card with Angels. Mary & Baby Jesus Christmas Card with Angels. Christmas card Mary and baby Jesus or the holy family. 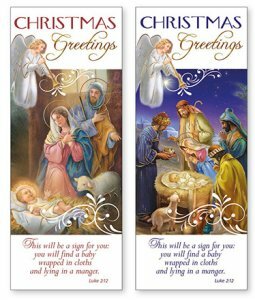 These Christmas cards are embossed with gold foiled and sold individually.